At an altitude of 340m and variable low-gradient slopes with warmer summer days but cold winters. Soils are sandy with broken sandstone and ‘koffieklip’, or ‘coffee rock’, so named for its granular nature. At an altitude of 340m and variable low-gradient slopes with warmer summer days but cold winters. Soils are sandy with broken sandstone and ‘koffieklip’, or ‘coffee rock’, so named for its granular nature. Notes of baked and confectionary aromas, smooth tannins with a full mouthfeel and long finish. 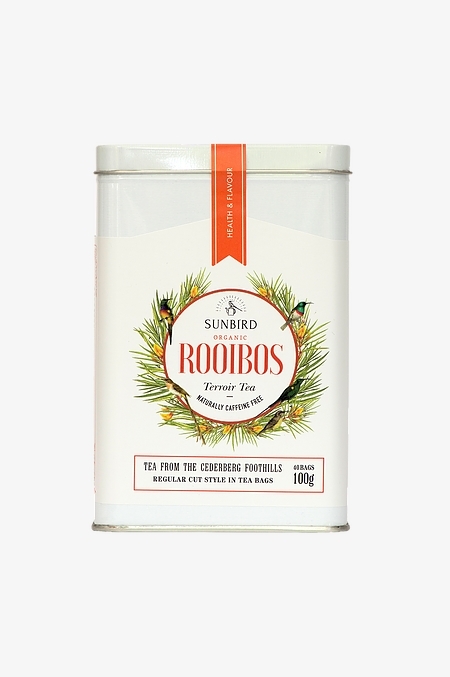 A fine tea to accompany breakfast or make a mid-morning cup. Regular Cut in bags.